NOTE #1: I used what was left of the pineapple fried in coconut oil that I made to put on ice cream. (Click that link for the recipe.) This recipe would work just as well with fresh pineapple. 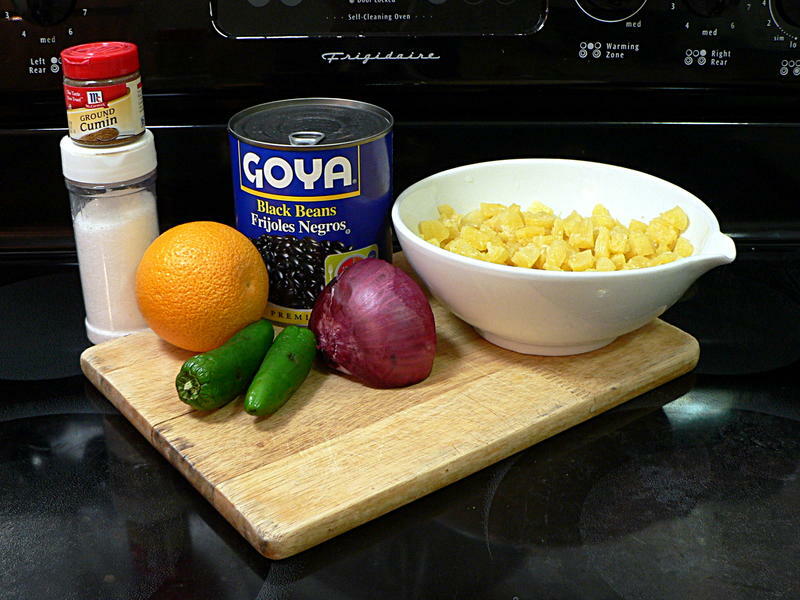 NOTE #3: In Latin America “salsa” is used generically to mean “sauce”. If you want a specific kind you might ask for “salsa roja” (red salsa, tomato based) or “salsa verde” (green salsa, tomatillo based). For a good list of other types of salsas, check out this list from The Nibble. Dice the onion fairly small, and the jalapeño very small. Now add the juice from the orange. There’s a reason I do it in this order. 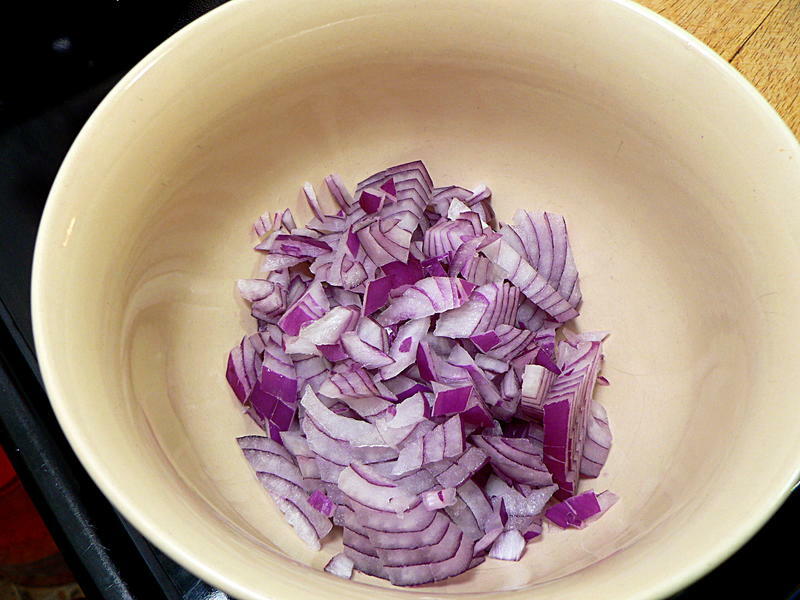 Slicing the onion can make you cry, which would make you want to rub your eyes. 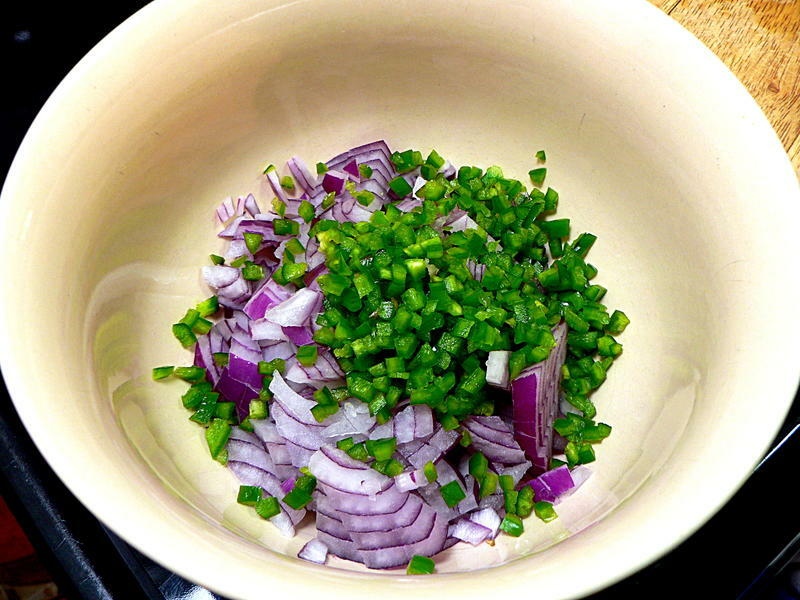 You don’t want to do accidentally do that after handling jalapeños, so do the onion first. 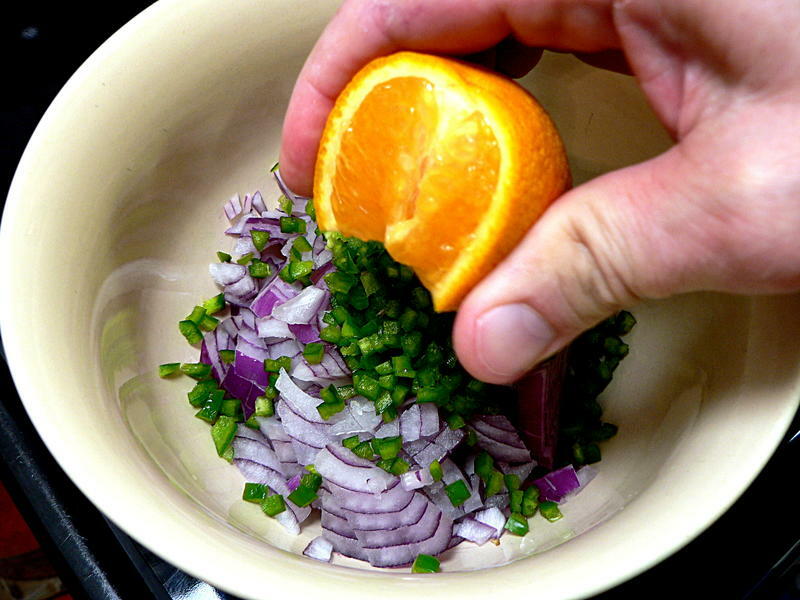 The orange juice will clean the onion and jalapeño off your hands, so do that last. 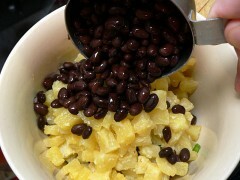 Now add the pineapple, beans, cumin and salt. 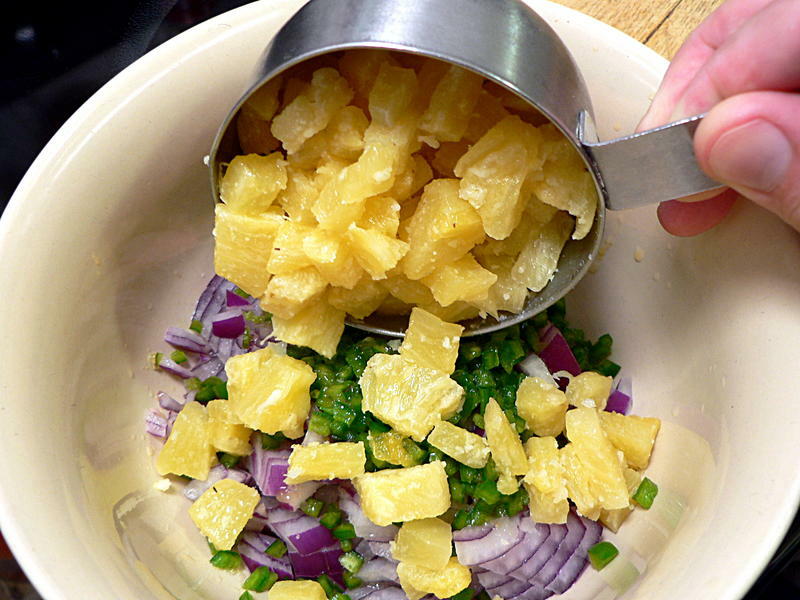 Check out the fried pineapple recipe for links to two different ways to slice a pineapple. 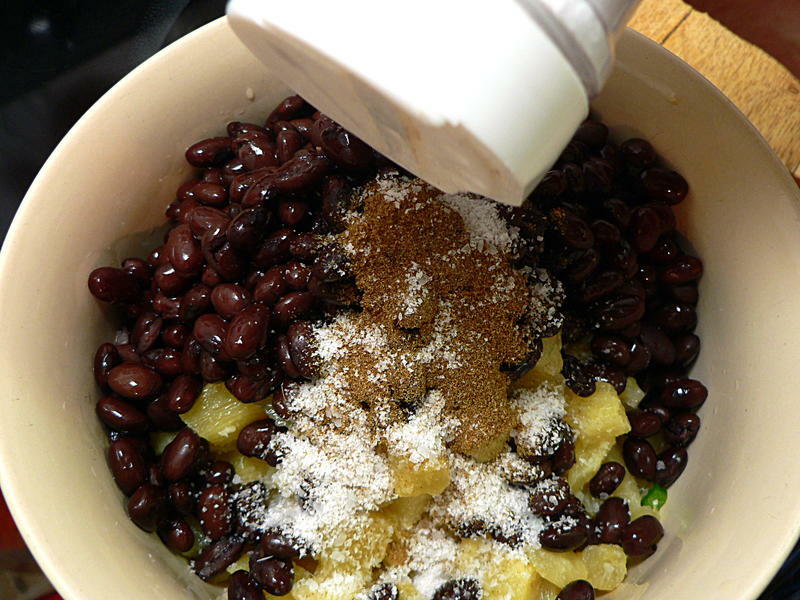 Mix everything together and refrigerate for an hour before serving to allow the flavors to combine. 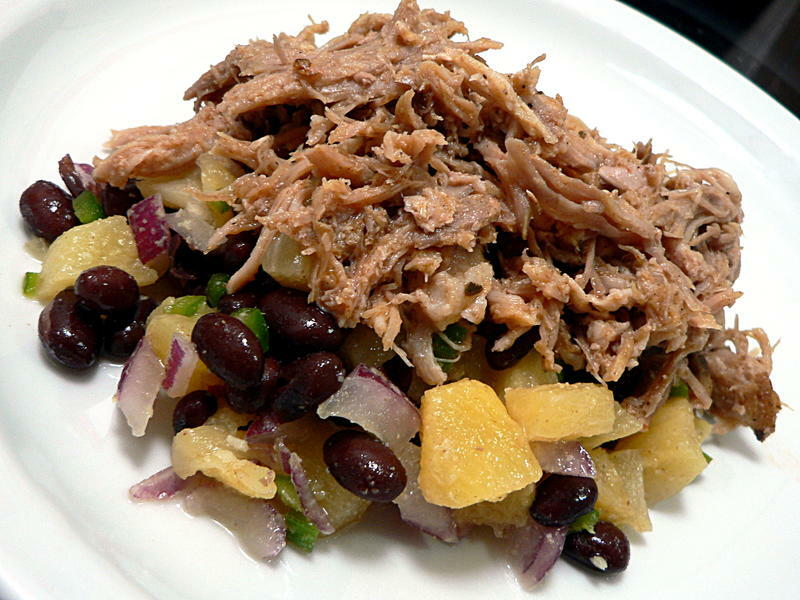 Serve with chips, or as an accompaniment to meat or fish. I served it with pulled pork. 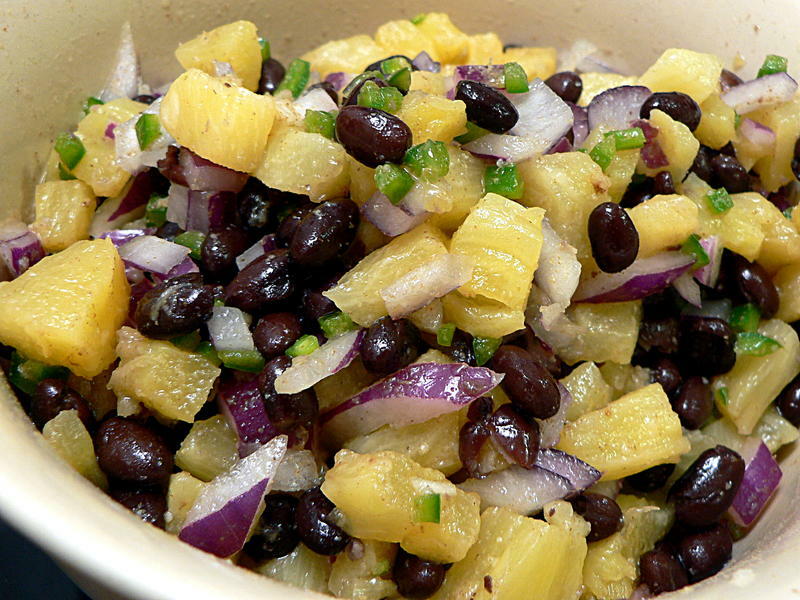 The pineapple and orange juice make this salsa sweet, but not overpowering. 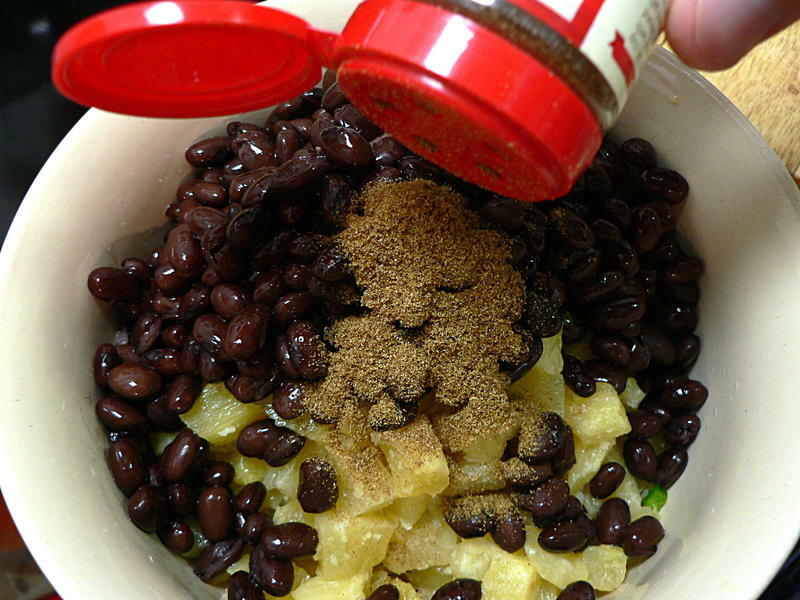 It's great as a dip, or as an accompaniment to meat or fish. Combine all ingredients in a bowl, mix and refrigerate for an hour before serving.